You are android Smartphone user and you own a costly android phone. If Answer to this Question is yes then do read below. Mobile tracker application to track your lost phone remotely. Prey Anti-Theft is a free Android app that acts as a mobile tracker on Android device and locates lost or stolen device. Prey is one of the most downloaded and used tracking device application @ Android Market as prey offers many unique features and that too at zero cost. Prey mobile tracker app is a must-have app on your Android smartphone. It also sends you the report of your stolen or lost device by sending location on Google Map. You can check this report on your email id registered with Prey app. One of the most interesting and award wining feature of this mobile tracker app is that, it comes with sending the SMS to the registered contact number whenever any new SIM is detected by phone. It sends the SMS only on that number on which you want to receive the alert message of missing device. But the condition is that, the contact number on which you want to receive the text message should be registered with Prey. It tracks the lost or stolen phone. This app uses GPS + Wi-Fi Geo location to locate stolen or lost phone. Also it is a password protected app. No ne can access or change the setting until he/she knows the password. 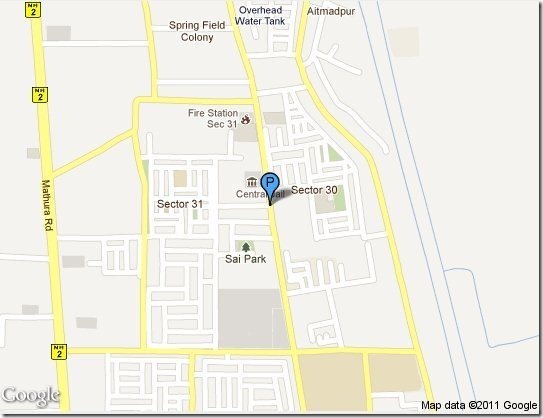 It provides the location on Google Map. 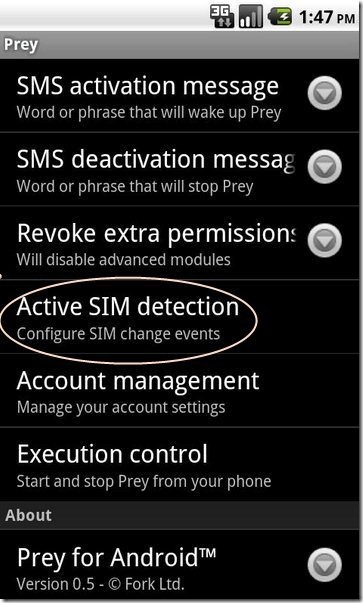 It also provides SIM change detection option. This means that it will automatically send a SMS to the registered number from new SIM detected. It also locks your phone if activated, incase the device is lost or stolen. It is a password protected app that doesn’t even allow to uninstall or stop app without password. It has a loud alarm sound too. It is very light app for your Android memory. Prey is also available for tracking location for laptops and tablets. Click on “Search” tab. Type “Prey Anti-Theft” in search tab. The free Prey Anti-Theft mobile tracker app will be automatically installed. Make your phone safe and throw out the fear of losing your smartphone from your mind as your phone itself will tell you where it is. I lost my mobile how to locate online..